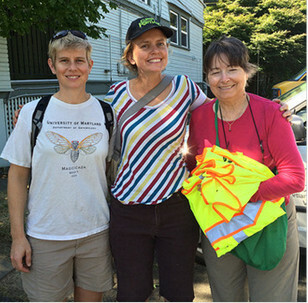 Eliot volunteers helped to conduct our street tree inventory during the summer of 2014. Urban Forestry staff provided training, tools and event organization. Information collected included tree species, size, health, site conditions, and available planting spaces. Data was analyzed by Urban Forestry staff, and findings were presented to neighborhood stakeholders at an annual Tree Summit on November 22, 2014. Eliot’s street tree population consists of 2,793 trees of 76 types. Diversity in species and functional type is a concern; 2 families Sapindaceae and Rosaceae, compose 49% of all families and 1 genus Acer, makes up 30% of Eliot’s street tree population. Broadleaf deciduous trees account for 95% of all street trees. Medium size trees between 6.1” and 18” diameter at breast height have thrived through establishment to make up nearly 50% of Eliot’s street tree population. Arborist care should be enlisted to maximize tree benefits as they gain maturity. Thirty-six percent of trees are young at less than 6” diameter at breast height and will benefit from tree maintenance activities to promote a healthy population for the future. 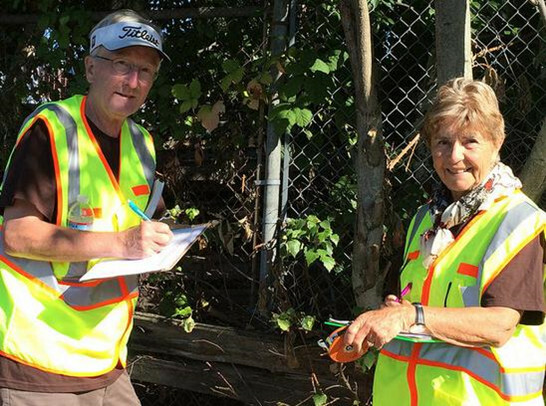 At the summit, Eliot and Boise neighbors formed a working tree group, Albina Neighborhood Tree Team (ANTT), which set achievable strategies to improve existing trees, expand tree canopy, and connect the neighborhood with city and nonprofit resources. They began developing a Tree Plan based on the inventory’s current status and health of Eliot street trees and developing recommendations for specific neighborhood actions to improve canopy. Two pruning workshops were scheduled. Eliot had the first pruning workshop on January 10, 2015. Boise pruning workshop is planned later in the summer around June 20. Arborists say spring budding out season is not a good time to prune. Street trees less than 3 inches will be considered for pruning. Trees are tagged, giving residents the opportunity to choose to participate and have their trees pruned for free. The Eliot event resulted in about 100 trees pruned to encourage beneficial growth. The benefits include considerations for sidewalk and street traffic as well as shade and long term health of the tree. Walking around your neighborhood, do you see spaces to plant a tree, street trees in need of maintenance, and neighbors who are concerned about their trees but don’t know where to begin? Join or contact your neighborhood Tree Team. Also, look for Albina Neighborhood Tree Team on Facebook. 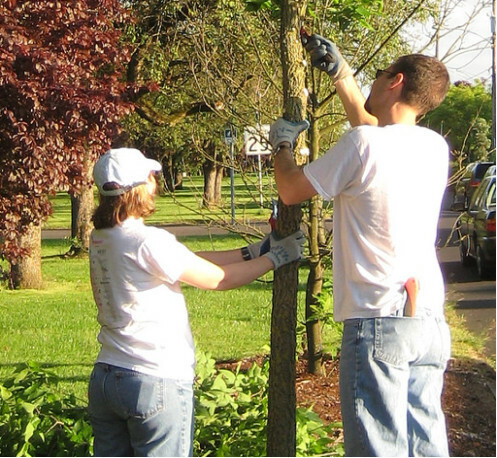 Urban Forestry is helping Portlanders take action to improve their community’s street trees, one neighborhood at a time. Join them at the Albina Tree Team Pruning Workshop at Unthank Park on June 20, 2015. For more information contact Elizabeth Specht at Portland Parks & Recreation Urban Forestry at (503) 260-5876 or elizabeth.specht@portlandoregon.gov.